Are you and your family in on the Pokemon Go craze? 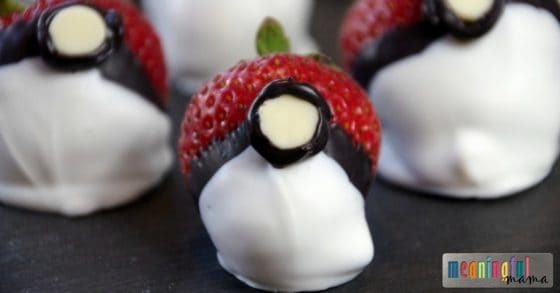 These Chocolate Covered Strawberry Pokemon Go Balls are super easy and tasty. 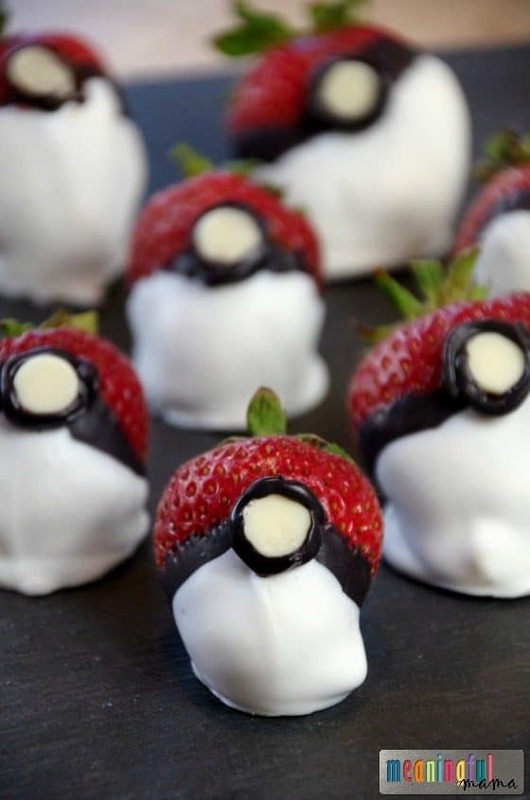 They are easy to make and would be fun to serve your family as a surprise or would be perfect for a Pokemon Go party. If you love creative ways to decorate strawberries, I think you will love my owl strawberry tutorial. My confession is that we are not playing Pokemon Go. I don’t have a problem with other people chasing Pokemon throughout their towns and cities. I think it could be a really fun way to connect as a family. That said, I always want people to consider balance and self control. Something like this can become obsessive and lead us all to walk around like zombies and ignore one another. As long as you have found a healthy balance, and it is building into relationships rather than detracting them then it’s not a big deal. Even though I’m not doing Pokemon Go, I can still get into the craze in other ways. 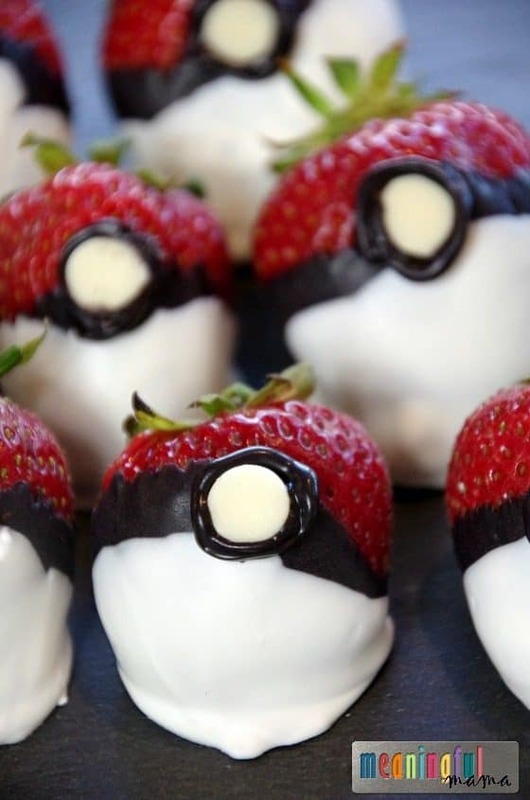 These Chocolate Covered Strawberry Pokemon Go Balls are my contribution to the popularity of this game. Pastry bag or Ziplock bag with small corner hole cut out. Melt black Candy Melts in microwave according to package directions. Dip strawberries in black chocolate to reach just over half way up the strawberry. Refrigerate until hardened. This takes only minutes. Keep your dark chocolate warm by putting the bowl over a pot of boiling water and stirring often. Here’s some more tips for working with candy melts. Melt white Candy Melts in microwave according to package directions. 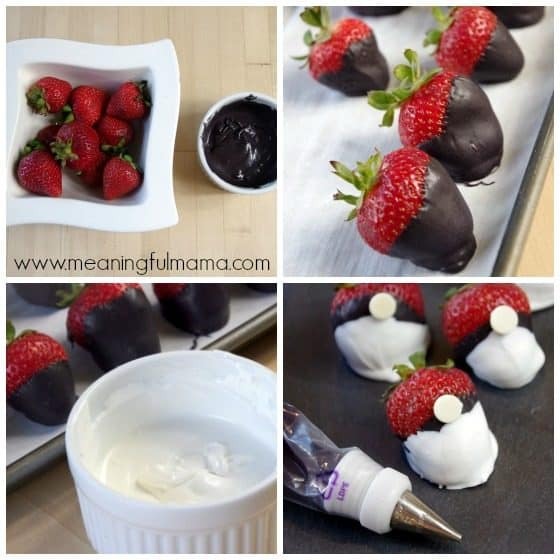 Dip strawberries in white chocolate, leaving a strip of black chocolate. Refrigerate until hardened. This only take minutes. 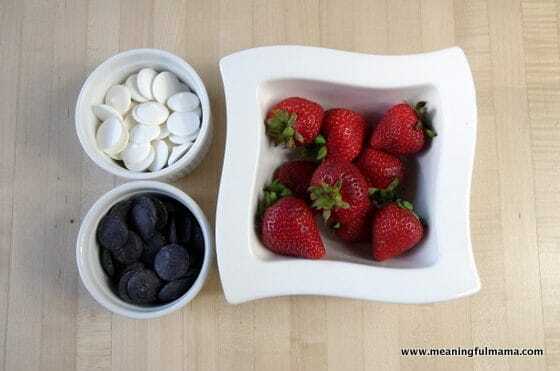 Take a white chocolate chip and push it into the strawberry in the center of the black chocolate strip. Add your dark chocolate to a pastry with tip 3 attached. Working carefully and quickly, draw a circle around the white chocolate chip with the black chocolate. Have you subscribed to my YouTube channel yet? Why not? Have fun playing Pokemon Go and celebrating funny life moments, but always remember to keep balance for yourself and your family as you do life together.